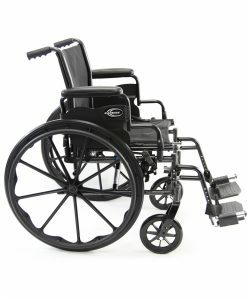 Steel wheelchairs are made out of steel composite and are commonly the heaviest wheelchairs available. 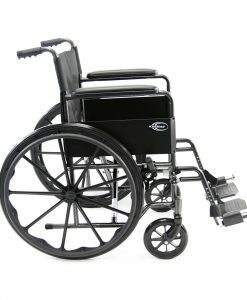 Steel was one of the first materials ever used to compile wheelchairs. Steel chairs are currently known as expired technology because there are many other wheelchairs out there that are more efficient and durable than steel devices. Steel chairs tend to be inexpensive because of their heavy frame weight, and because it is harder to propel or push on a consistent basis. 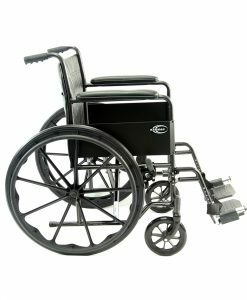 People tend to upgrade from steel to aluminum, this is because aluminum chairs weight a lot less than conventional steel wheelchairs. If you have to lift a steel chair into a vehicle or store it in a compact space on a daily basis, you may understand why and how it would be a pain to have one. 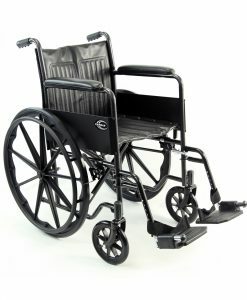 Steel wheelchairs usually come in a black color way and have components that are also made out of steel. 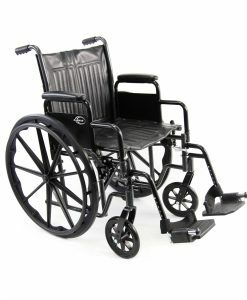 Nowadays it is common for heavy duty wheelchairs to be made out of steel because of their durability. In this case the weight of the chair is less of a priority and the weight capacity becomes an important factor in judging a bariatric wheelchair. There currently are better alternatives to wheelchairs made from steel. 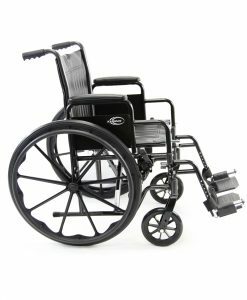 There is a aluminum, the current most common used material for light manual wheelchairs. Aluminum allows the frame to weight less because of the type of material it is made from. For some users steel chairs represent an inexpensive alternative to aluminum. This is because steel chairs are less expensive to make while aluminum chairs cost more. 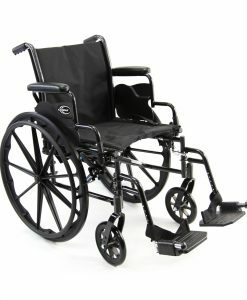 Usually you will notice that steel chairs are the cheapest type of wheelchairs you can buy. But a cheaper price also means a lower quality of equipment. Steel chairs are still commonly used in hospitals and other types of medical facilities. They are also used in retirement homes and hospices. This is because they are usually never upgraded and also because they were provided by the government, or medicare. 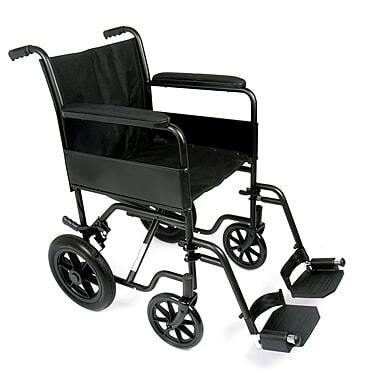 For the elderly, it is very important to let them use a lighter wheelchair, because heavy steel frames can cause stress to their extremities and they are very hard to propel by the user.